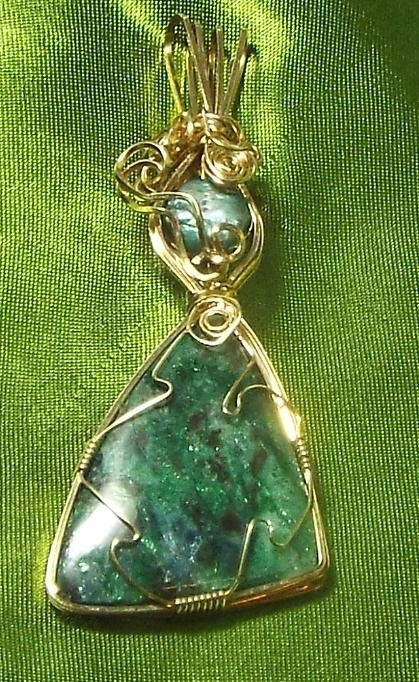 1 1/4 x 3 1/4"
Rare Russian Fuchsite Pendant This is a 14kt Gold Filled Wire Wrap Pendant with Rare Russian Fuchsite Stone in the bottom of a two part freeform shape with a Freshwater Pearl on the top. 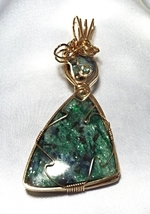 The Fuchsite is a Beautiful color of Blue and Green. 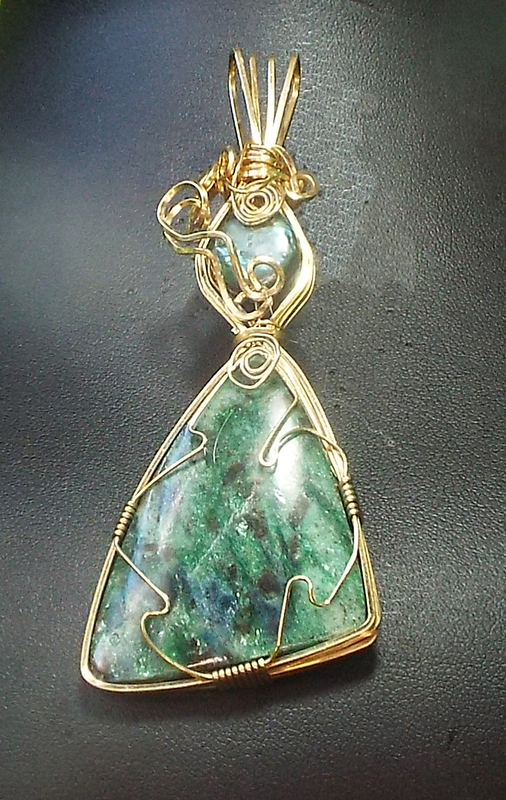 Very rare stone with colors not usually seen. This measures a total of 1 1/4 x 3 1/4.